Nothing ages quite as beautifully as leather… the notebooks from our STILUS series feature an open rim leather cover made from the finest Italian leather in a striking selection of colours. 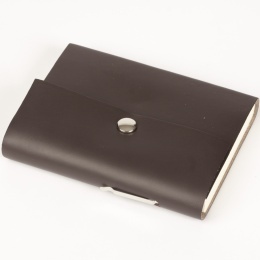 Cleverly integrated leather loops on each side of the cover function simultaneously as a closure and as a pen holder. A black clutch pencil with integrated sharpener is included. 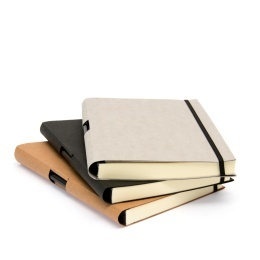 Our notebooks are all handmade and come in three different sizes and either blank or lined. Each book block is thread stitched and made from premium cream writing paper. 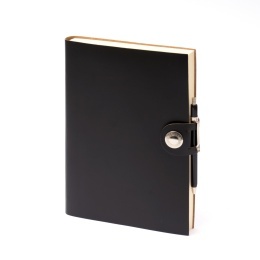 Also available from the STILUS series are diaries for 2019, address books as well as sewn book covers.